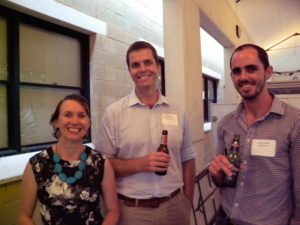 Crawford Fund Conference Scholarship recipient Kelly Ryan, Grains Development Officer, Department of Agriculture and Food, Western Australia reports on a recent networking event run in Perth. Scope Global and the WA Crawford Fund joined forces recently to host a young networking event aimed at informing young agribusiness professionals about the volunteering opportunity available through the Australian Volunteers for International Development (AVID) program. James Ridsdill-Smith, WA Crawford Fund coordinator gave an overview of the Crawford Fund’s role in international development and touched on the committee’s future intentions to expand its young Crawford Fund work. James then introduced Marijke Fotia from Scope Global who provided an overview of the volunteering program, AVID. The first guest speaker was Tim McNaught. Tim worked as an Environmental Educator in Suriname. His role involved helping to educate staff in the Government Department responsible for nature conservation. As well as being a volunteer he took his family on assignment which helped him develop a broard network of expats and locals. He commented that the program was very supportive of their situation and they had a fantastic family adventure exploring the region and getting to know its culture. Today he is an Executive Manager at the Office of Bushfire Risk Management (OBRM) in Perth. The second guest speaker was Fiona Webster. Fiona was placed on assignment with the Department of Fisheries in Tonga. Part of her role was to analyse data collected by fishing communities to build sustainable fishing practices. She talked about her experience in presenting the results to local fishing communities and in making new friends and learning the language. Fiona also talked about the amazing opportunities she was presented with including joining a research team on an ocean voyage. Today she is a Marine Scientist for the WA Department Fisheries. 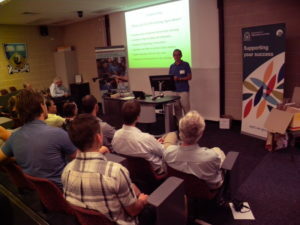 Wrapping up the day Adj/Prof Harry Nesbitt from UWA spoke about his time working with farmers in Timor Leste to plant better adapted more productive seed for vegetables and crops. Harry is responsible for the Seeds of Life program and talked about the vast array of professional opportunities for volunteers to work in agriculture in international development. Speakers were able to discuss their experience in more detail with participants during the networking session over light food and a drink. Overall the participants valued the opportunity to hear from returned volunteers and rated the event highly. They requested the next event to touch on building partnerships in country and finding research funding. The next event in WA is planned for June.